The world of rugs has grown and diversified to incorporate a wealth of tastes and styles. They undoubtedly play an imperative role in a home’s interior decor. With an overwhelming range of rug styles available in the market, it usually gets really difficult for the homeowners to pick the rug that best complements their home’s theme. There are rugs in rectangular, round and square shapes as well as in little, medium and bigger thicknesses to match different preferences. 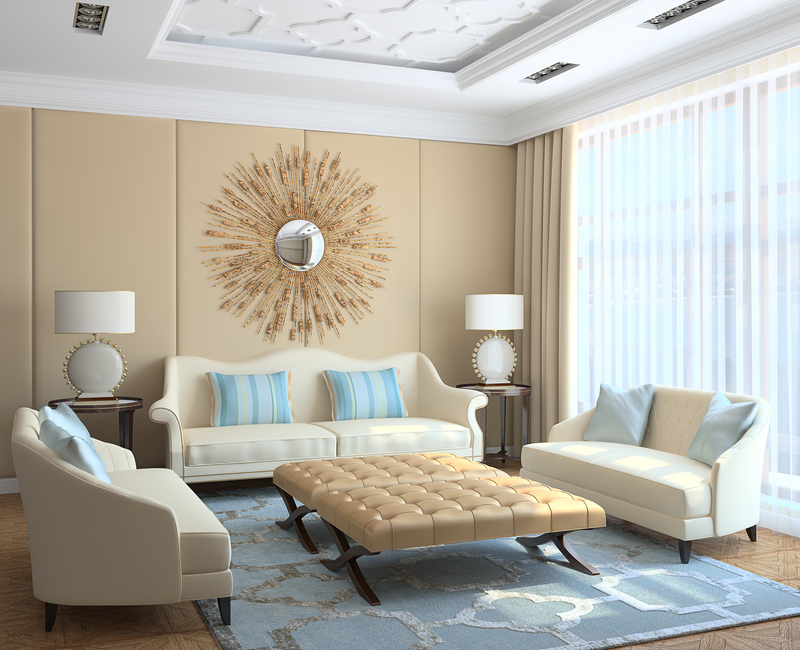 What people do most of the times is to consult a well-known interior designer in Lahore to help them make the right selection. In a recent interview, AmerAdnan®, one of the leading interior designers and decorators in Pakistan, said that clients these days are no more restricted to choosing between the traditional Persian and classic European designs of yore. According to him, they can pick from the rug-style options available in the market these days that ranges from contemporary area rugs to novelty, shag to tropical, world beat to braid and more. To learn more about the rug styles, here is a useful guide by AmerAdnan that can make this errand less hectic. Traditional Rugs: As the name implies, these are a testament to elegance. The traditional style rugs are the most popular and oldest range of rugs available in the market. They truly reflect the oriental/Persian or European/classic styles. The traditional rugs can be found in a range of colors with luxurious texture. Transitional Rugs: They are a unique and innovative combination of the contemporary and traditional rug designs. The transitional rugs make an amazing blend of fresh style and casual elegance to give your home a modern yet classic ambience. Contemporary Rugs: The name makes it quite obvious that these are associated with the popular designs of current era. The contemporary rugs comprise free-form to structured designs. Those who are seeking a way to enhance their home interior with vibrant colors should opt for contemporary rugs. Outdoor Rugs: The outdoor rugs are a great way to enhance your home outdoors with a style. This amazing addition to the outdoor flooring is extra-durable as well as hardwearing so as to withstand the extreme weather conditions. They have ability to dry quick and they do not fade or stain easily. Moreover, the best outdoor rugs are resistant to mold and mildew. Floral Rugs: Also known as the tropical rugs, they have flowers and plants incorporated heavily in their designs. The floral rugs are for those who love nature and want to bring a part of it into the indoors. The awe-inspiring blend of bold hues and colors of pastels make floral rugs the focal point for any room. Braided Rugs: If you want to add warmth, a touch of contemporary appeal and texture to your home flooring, the best idea is to opt for braided rugs. The braided rugs combine soft and thick pile along with high durability to make them longwearing for your home. Apart from the rug styles mentioned above, you may find kids’ rugs, world beat rugs, southwestern rugs, novelty rugs, solid & border rugs, flokati & shag rugs and many more in the local rugs market. The best idea is to ask an expert interior designer in Pakistan to help you choose the best rugs for different spaces in your home.